I have seen pictures and have read about this restaurant in a few places. Finally I decided to give it a try. When you first walk in there is a small indoor space that leads to a large inviting patio. The service was fine and the food took longer than usual to get to our table. 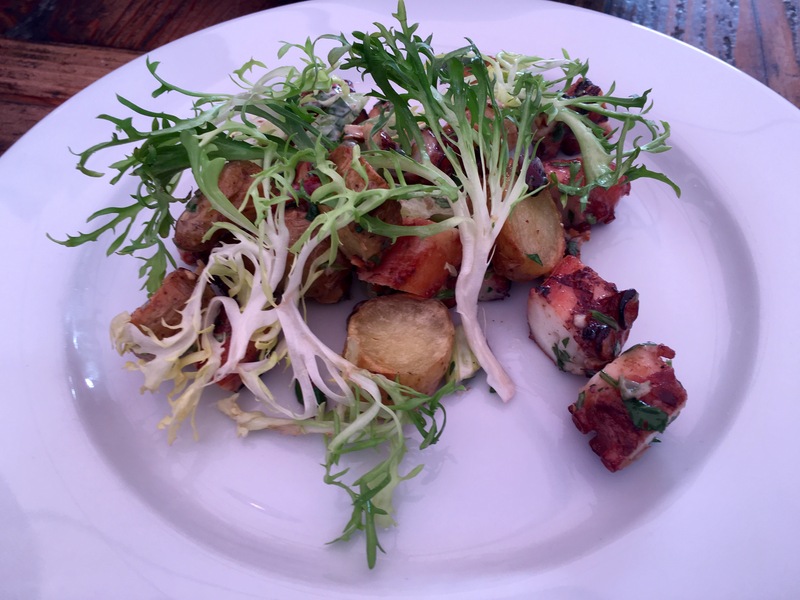 The octopus was on the chewy side, the potatoes were crisp and the frisee was crunchy. I just wish they charged you a little more and gave you enough food so you felt like you actually ate something. The Shrimp and grits fair better. 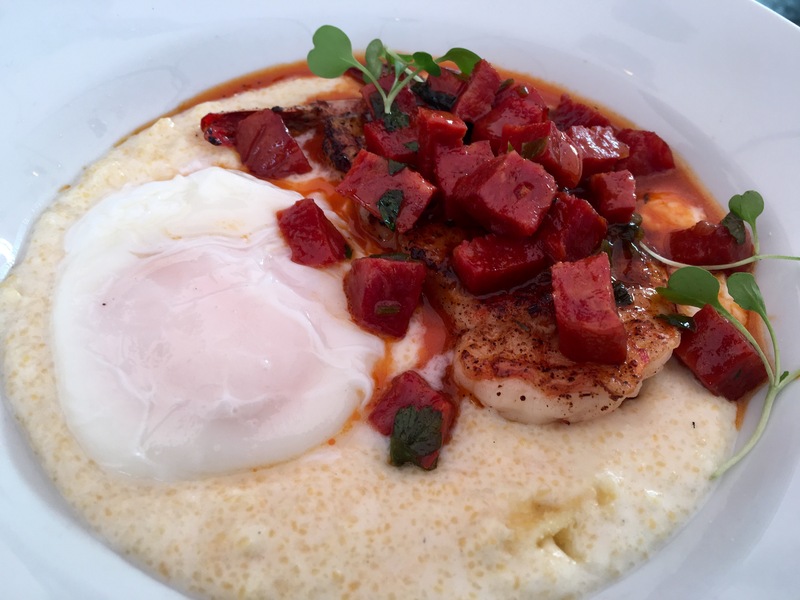 Shrimp was cooked just right, grits was creamy and the chorizo butter added a touch of spice. Needless to say we were still hungry but did not want to wait 20 minutes longer to order something and instead headed to Sidecar to pickup some chocolate donuts.